Unique puzzle format allows players to create their own bingo cards and select from two levels of challenge. 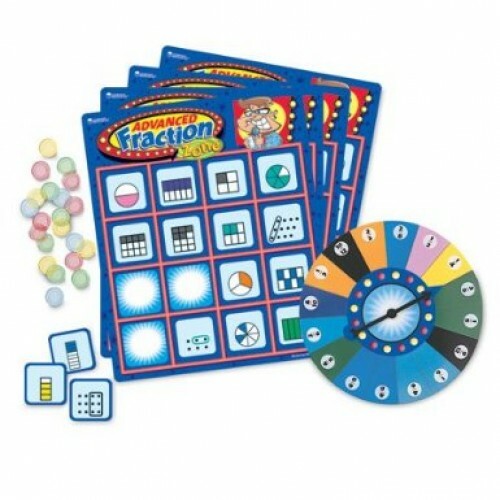 The Advanced Fraction Zone® Game goes up to twelfths, with Level 1 featuring identification of fractions using circles, squares, rectangles and parts of a set. Level 2 focuses on equivalencies and renaming fractions in lowest terms. Sets include: four bingo cards, markers and two-sided spinner. For 2-4 players.